July | 2013 | The Sassy Spoon: Fun Food! The Sassy Spoon: Fun Food! Peach Season is here! Nothing can compare to peaches grown in South Carolina and Georgia and this is the time of year when they are at their peak. Beautiful soft orbs of sweet juicy fruit, which are naturally bright and beautiful can be utilized in many ways. I grill them, make chutney, jam them, eat in hand, freeze at least 20# to use for winter and of course make peach pies among other things. 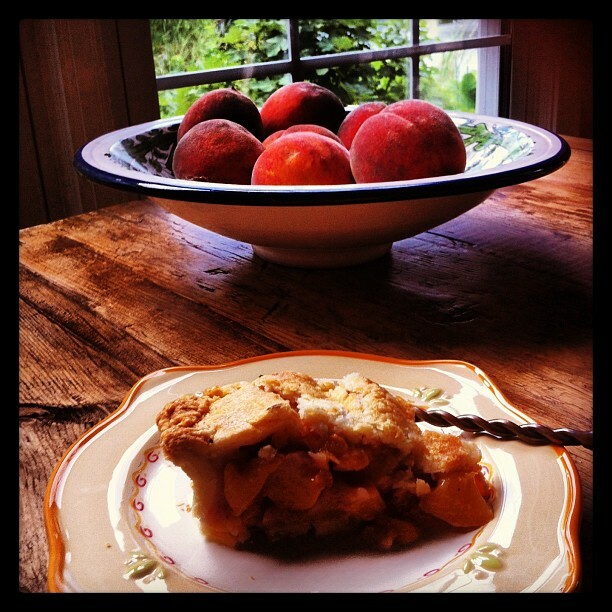 This pie is one of my favorites, the other style is a glazed peach pie, which I will be making soon. This one is so easy and delicious. Make an x in the bottom of the peaches, dunk in boiling water for 5 seconds and immediately plunge into ice water. Using a paring knife, pull off the skins. Cut the peaches into bite size pieces and layer with lemon juice sugar as you cut. When all of the peaches are sliced, stir and let sit for 10 minutes while you roll out the crust. Using a spoon, pour off excess juice. Stir in the flour and Baker’s Secret. 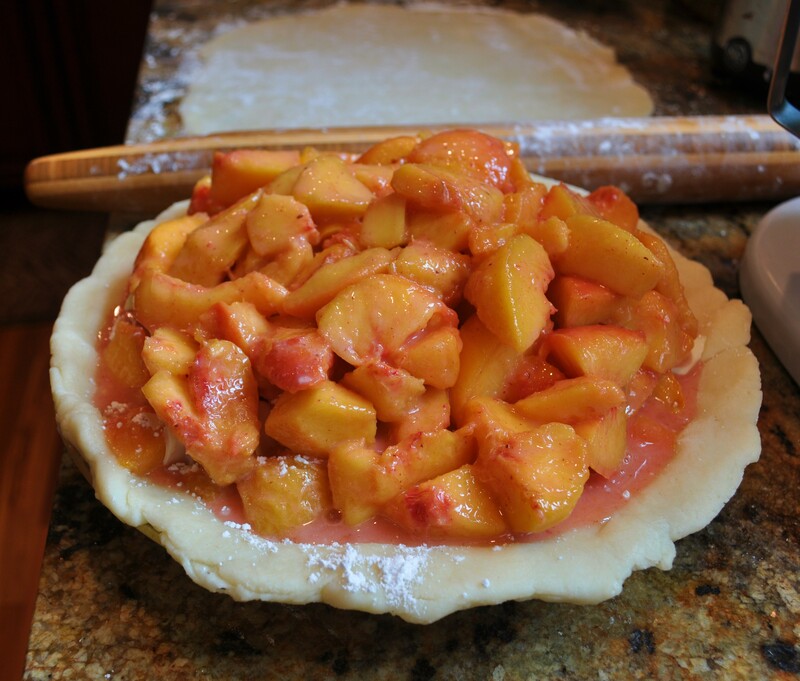 Pile the peaches into the bottom crust so that the peaches are mounded high. Add slivers of butter all around the peaches. Put the top crust on. Make a cuff of foil to go around the edge of the pie (this prevents burning)and put into the oven on the center rack. After the pie has baked for 30 minutes at 400, reduce the heat to 350 and bake another 30-40 minutes, until the crust is golden. Remove and cool. Allow the pie to rest for at least 40 minutes before slicing.